← Obama and Kerry — Foreign Policy and Economic Policy — Focus on More Rules and Free Markets? Extraterritorial Foreign Policy Actions — Drones, Detention,Targeted Killings, Cyberattacks — What About Trade Powers? 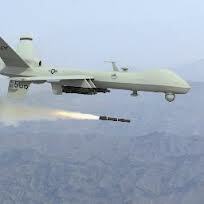 President Obama seems to have extended the extraterritorial reach of his executive powers by aggressively using drones, staking out a broad cyberstrike policy, targeted killings of Americans abroad, and continued detentions. This is surprising given that this former constitutional law professor has often expressed the necessity of upholding the rules of the road, American values, and engaging multilateral institutions forcefully. I wonder what this exercise of foreign policies means for the unilateral extraterritorial application of U.S. international trade rules to global transactions involving foreign firms and foreign actions. Under the Constitution trade powers of the president are more limited than those concerning military and foreign affairs. Law is critical to a democracy. It provides the foundation for international relation and in particular to international trade relations. Checks and balances were established in the Constitution to reign in actions by the executive when leadership gets carried away in the jungle of global relations. There is an important role for both the Congress and the courts in foreign relations and the use of force by the United States. ….. “Broad Powers Seen for Obama in Cyberstrikes,” New York Times (February 4, 2013). ….. “U.S. Memo on Killing Citizens in Al Qaeda.” New York Times (February 5, 2013). …. “Dept. of Justice White Paper on Targeted Killings of Americans Abroad.” (released by NBC News) (2.5.13). ….. “Congress and Drones Memo.” Washington Post (February 5, 2013). This entry was posted in Global Trade Relations and tagged constitutional law, cyberattacks, drone debate, drones, extraterritorial executive actions, foreign policy, foreign trade, foreign trade policy, military policy, NBC News, role of separation of powers in international relations, role of the courts and the congress in use of force, targeted killings, targeted killings of Americans abroad. Bookmark the permalink.